Siesta Hitech exhibits a fine mix of old world charm and contemporary facilities – it mirrors the grandeur of the city’s rich history and at the same time caters to contemporary business stay needs of the city’s technology giants. Offering the comfort of a home away from home, Siesta Hitech liberally extends business essentials, comforts and luxuries of modern times. 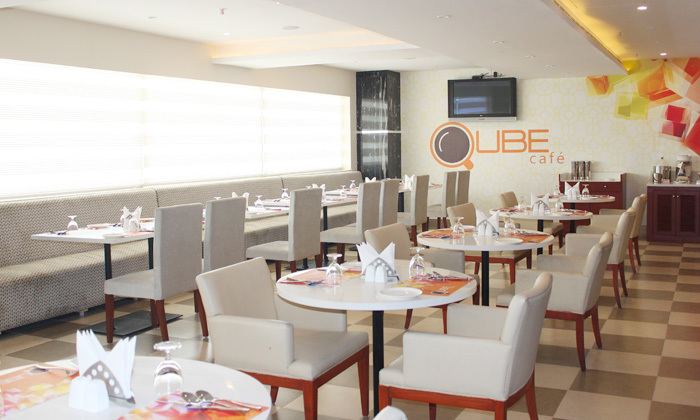 The Siesta Hitech houses the 24 hr Qube Cafe that serves some delicious North Indian, Continental and South Indian food for breakfast, lunch and dinner.